In today’s social media obsessed, 24/7, instant access society, judgements are formed immediately. Decisions made rapidly. Words, written and spoken, delivered without thought, sometimes anonymously. There is always so much to be done, that there is no time to stop and think about what we are doing, what we are saying, what we are typing. Of course, this problem is not limited to today’s society. Peter often had a problem of speaking and doing without thinking. He jumped out of a boat to meet his Lord, only to start drowning when he actually thought about what he was doing! 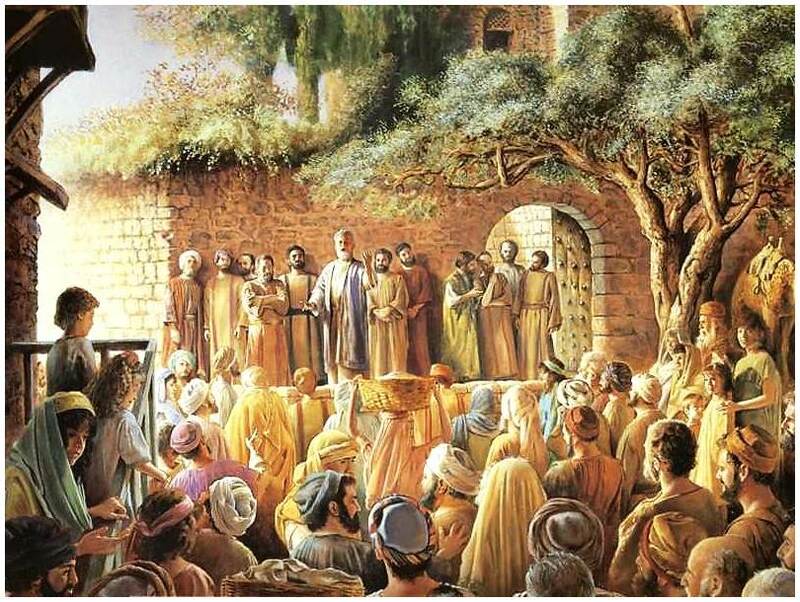 (Matthew 14:28-30) When asked a question, Peter would often say the first thing he thought, without actually thinking about the question (Mark 9:2-6). Peter swore he would never betray Jesus, yet did so three times just a few hours later, not realizing what he did until after it was over (Matthew 26:31-35, 69-75). Are you noticing a pattern? When we understand the power words hold, we must be careful how we use them. That means going against the tide of the world and stopping to think about what are words are saying, how they are being used, and how they might be interpreted. Peter went on to become a great leader of the early church (Acts 2:36-41). He learned from his early mistakes and started thinking before acting and speaking. He learned to admit his mistakes. His growth from fisherman, to disciple, to church leader, is one from which we can all learn and aspire. His words were no longer impulsive and unthoughtful. He developed his speaking skills, became an effective and efficient speaker, wielding words as the weapon they are, for the glory of the Lord! Thinking before speaking is a learned trait that requires time, patience, and discipline, especially today! Most people are connected to internet and social media at nearly all times. A tweet can be fired off in seconds. A story commented on the moment it is read. A Facebook post shared immediately. Do any of these actions demonstrate carefully chosen words? Are these the actions of a careful, thoughtful listener? We never have to stop and think about what we are saying, or double check the information we think is correct. This ability to speak, or write, without thinking has lead to destroyed friendships, workplace squabbles, and has contributed to the increased violence seen throughout the world. It may not be popular to be slow to speak, to stop and think about what you are saying. Do you see a man who is hasty in his words? There is more hope for a fool than for him. (Proverbs 29:20, ESV) But it does not matter what the world thinks. As Christians we are not to concern ourselves with their thoughts. Do not be conformed to this world, but be transformed by the renewal of your mind, that by testing you may discern what is the will of God, what is good and acceptable and perfect. (Romans 12:2, ESV) Our concern is to live a life pleasing to the Lord! And learning to control our tongue, being slow to speak, is pleasing to Him! Words have power! Words have the power to create! Words have the power to deceive and manipulate! Words have power in silence! Words should be used carefully!